Foodspiration: Dog Friendly Wineries: Mutt Lynch Winery. Dog Friendly Wineries: Mutt Lynch Winery. Sometimes I like to show up, my whole-self wearing whatever is comfortable, and with my dog too. Not long ago we had one of those weekends, the week was so kinetic that we found ourselves on a Saturday morning without anything planned. We wanted to hang together, but didn't want to vegetate at home. Welcome my dog and you welcome me. Somehow I knew that my internet query "dog friendly wineries" would fetch-up a destination just our speed. When I called to make our appointment at Mutt Lynch Winery (as required for most wineries that weren't grandfathered-in long ago), I think I caught the proprietors at a strategy session around their kitchen table . 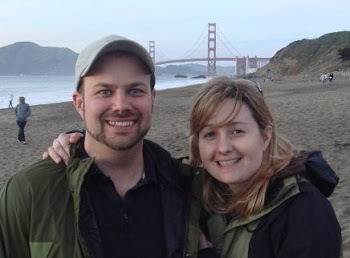 . . however, we agreed to meet at their Healdsburg winery at the appointed time that afternoon. When you are looking for Mutt Lynch, look for the sandwich board sign out front as they share a facility with three or four other producers for tasting and production. Inside we met Chris and Brenda (owners) and their dog Patch (retired Greyhound) and had a chance to sample some of their wines. Our dog Beaker and Patch were a well-matched pair in that they reveled in mutually ignoring each other and sprawling out in repose while the humans conducted their business. A great value under screw cap with a fun label for dog lovers is the 2007 Portrait of a Mutt Zinfandel, which we bought enough to share with some of our local dog park friends. For a slight splurge (not by Napa/Sonoma proportions), but full of fruit and well-built was the 2005 Canis Major Cabernet Sauvignon, Perotti Vineyard. For those local to the Bay Area we just got word that Lunardi's market is carrying some of their wines, so please give them a swirl when you can! 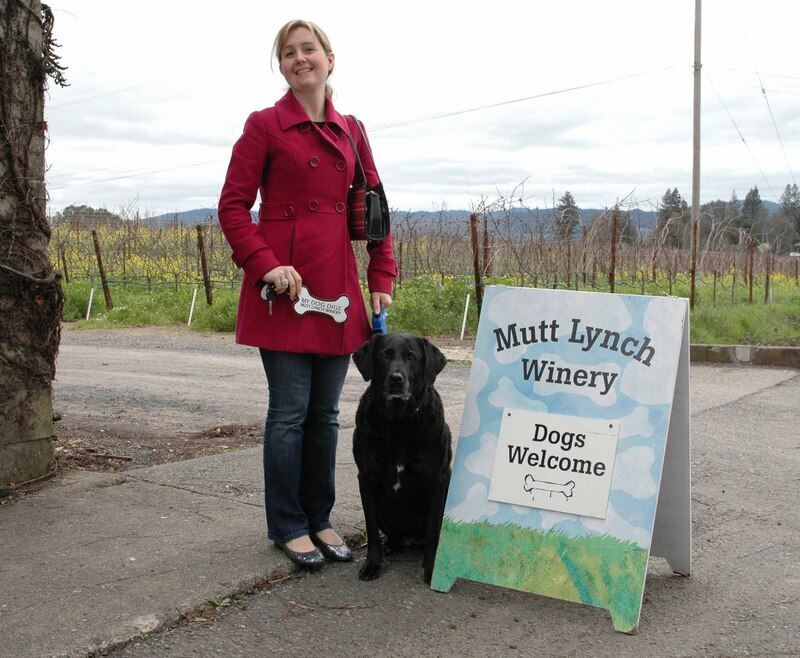 While Mutt Lynch tops our list for Sonoma/Healdsburg, we've had some great dog-friendly winery experiences in other wine regions as well . . . so if you're in the Anderson Valley (nearer Mendocino) consider Toulouse and Goldeneye or up the Napa Valley way (near Calistoga) check out Dutch Henry. If we lived closer, we'd go to the Yappy Hour at Mutt Lynch. Wine for the people and treats for the dogs! Genius! !